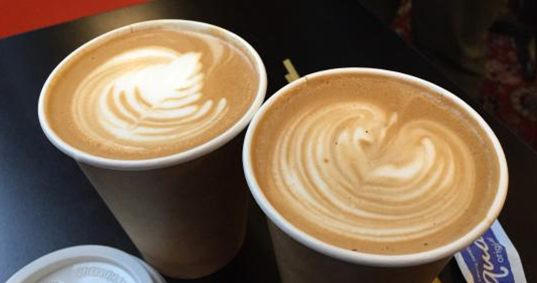 Providence is the perfect place to be on National Coffee Day. Voted the #3 Coffee City in the country by Travel + Leisure magazine, Providence, Rhode Island has a variety of coffee shops located throughout the city. Have you visited the newest coffee shop in town yet? Head up to Vanuatu Coffee Roasters, located on historic Federal Hill, to experience one of the rarest coffees on the planet. While you&apos;re there, enjoy a breakfast sandwich or choose from a variety of pastries, and do not forget to have a taste of their signature drink the Rhody, a mixture of dairy, sugar and cold brew. Click here to see how the Rhody is made. Vanuatu Coffee Roasters is located at 294 Atwells Avenue, Providence. 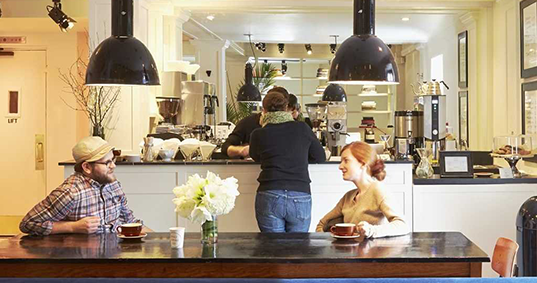 Just behind the Biltmore Hotel, Ellie&apos;s is a cozy café located in the heart of downtown Providence. Know for their phenomenal French macarons and mocha espresso, Ellie&apos;s is the perfect place for a quick breakfast or lunch. During the fall months stop into Ellie&apos;s to enjoy fall macaron flavors like apple cider doughnut, coffee and brown butter pumpkin, take a sip of hot chocolate with house-made marshmallows, or experience Ellie&apos;s brand new tea line. Ellie&apos;s is located at 61 Washington Street, Providence. 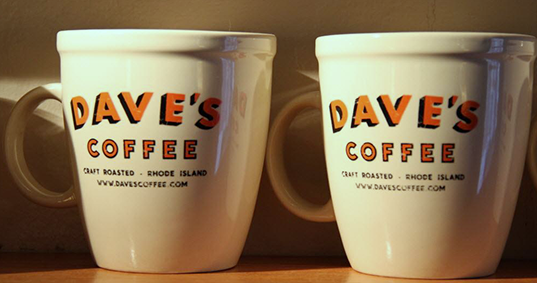 A Rhode Island staple, Dave&apos;s Coffee is a must-visit coffee shop on National Coffee Day. Known for their coffee syrup, Dave&apos;s also offers coffee and pastries for you to enjoy while strolling along South Main Street. Discover why Rhode Island&apos;s state drink is coffee milk. Dave&apos;s Coffee is located at 341 South Main Street, Providence and to order the best coffee syrup around, visit davescoffeestore.com. Grab a seat in Providence&apos;s newest hotel, The Dean, and discover Bolt Coffee Company. Enjoy fresh-brewed espresso drinks while reading a journal or blogging about the incredible coffee found in America&apos;s Favorite City. 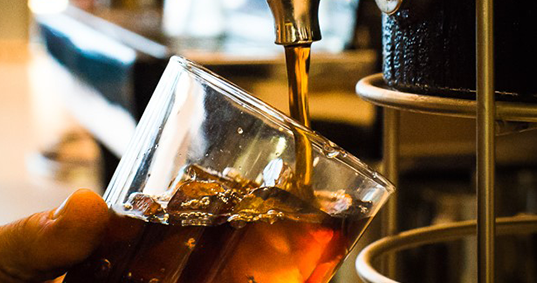 Experience the feel of being in a New York style café in the heart of downtown Providence. Bolt is located in the lobby of The Dean at 122 Fountain Street, Providence. 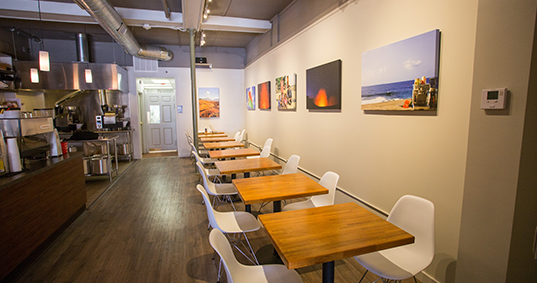 A Rhode Island favorite, Small Point Café is the place to stop during a day of shopping on Westminster Street or during a break from work or classes. 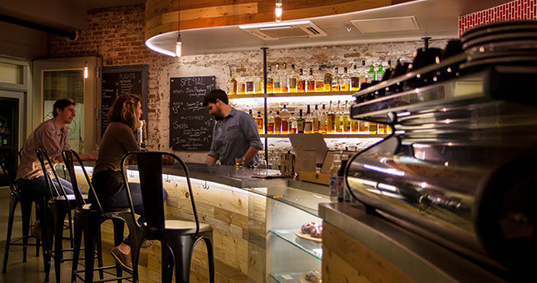 Enjoy fast and healthy food, fair trade coffee, and wine and beer. Small Point Café is located at 230 Westminster Street, Providence. Head into New Harvest Coffee Roasters&apos; storefront location in the Arcade Providence before or after work to start your day off right or to have an after work pick-me-up. Enjoy an array of coffee flavors and espresso drinks or add in your favorite coffee liqueur. We also suggest trying a shot of house-made whiskey. New Harvest is located in the Arcade Providence at 65 Weybosset Street, Providence. Looking for more coffee? Check out this video below from Vanuatu Coffee Roasters about how they make their delicious drink The Rhody.